Special Info: From Dubai Creek Golf & Yacht Club to Dubai Creek Golf & Yacht Club. 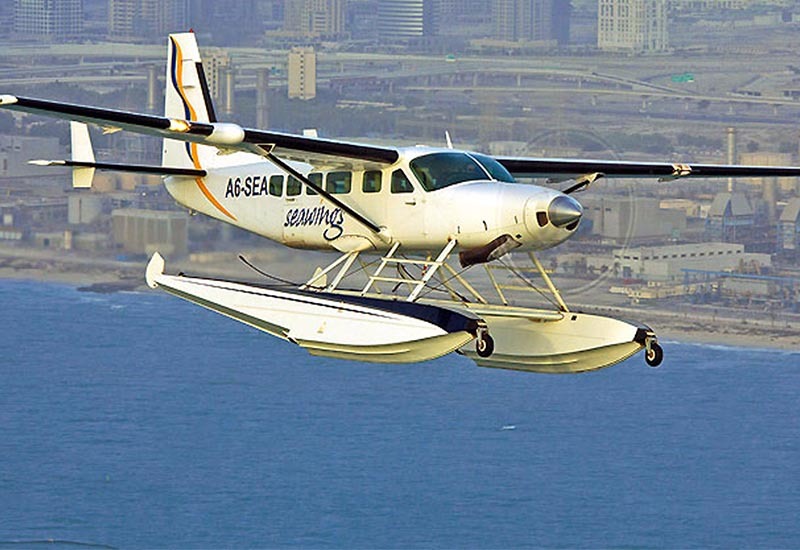 seaplane tour dubai is a propeller powered fixed wing aircraft that has a capability of taking off from water and landing on water. 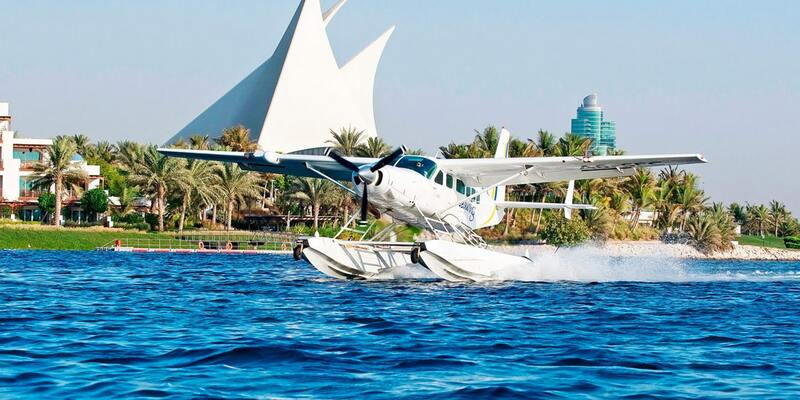 Experience a dissimilar feeling of slowly taking off from the water of Dubai on a seaplane tour dubai easing your way through the thick vapours. It’s the most exciting and unforgettable 40 minutes dock to dock in one’s life. Get fascinated with the magnificent views of Palm Jumeirah, Burj Al Arab, Burj Khalifa, Dubai Creek, The World Islands and Port Rashid then transfer back to hotel. A rare chance to see Dubai from afar. Once aboard the seaplane tour dubai get to see the most stunning view of Dubai and its well-known landmarks. 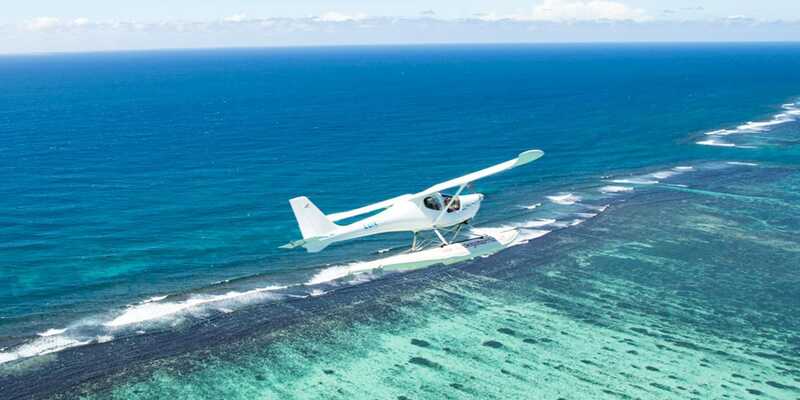 It is a propeller powered fixed wing aircraft that has a capacity of taking off from water and landing on water. Seeing the loveliness of Dubai from up top is something you would treasure for life. Contact us skyaland tourism for Seaplane Tours in Dubai to schedule the most exciting part of your visit. Our friendly representatives are available to assist you. Experience the exciting feeling of slowly taking off from the water of Dubai on a Seaplane Tour easing your way through the thick clouds. It’s the mainly exciting and unforgettable 25 minutes (dock to dock) on a visiting the attractions tour. Get fascinated with the magnificent views of sites including the Palm Jumeirah, Burj Al Arab, Burj Khalifa (the tallest skyscraper in the world), Dubai Creek, and The globe Islands and Port Rashid. Get to see the contemporary architectural wonders of modern Dubai Jebel Ali. Be pleased about and be attentive with the spectacular view of Dubai. Booking can be made through our website at skyland tourism and transportation can be booked optionally. The online payment system is available for your convenience website and performance is suitable for all ages. Cancellation charges are appropriate and seating is based on availability. All vehicles are properly insured as safety is a main main concern. Get your pick from two suitable take-off locations, Jebel Ali or Dubai Creek. 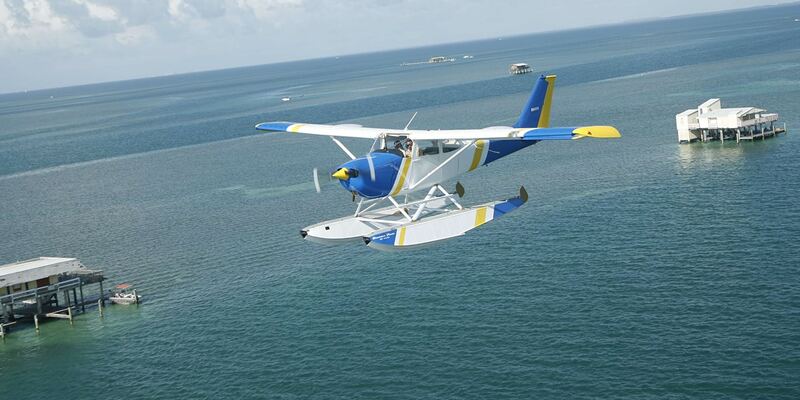 Soar into the sky on our state-of-the-art Cessna Seaplane Tour that takes off and lands on water. Cautiously crafted to include all Dubai’s iconic attractions, the Dubai Silver Air Tour is our most popular sightseeing tour. Burj Al-Arab Hotel, Palm Jumeirah and The globe Islands, the impressive 300 islands archipelago, built to look like a world map. Fly low over Port Rashid and Dubai Creek and admire the fleet of lavishness yachts at Dubai Marina. 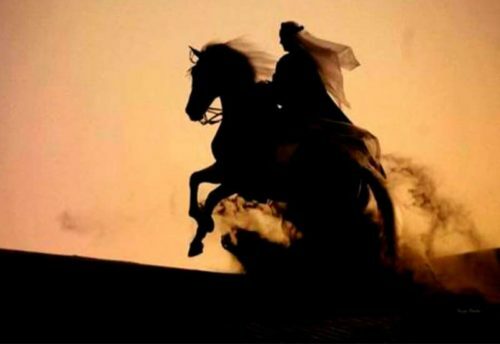 Return along the shore toward Jumeirah and Dubai and glide back over the waters where your tour initially began. The Seaplane Tour would give you a marvellous view of all these. 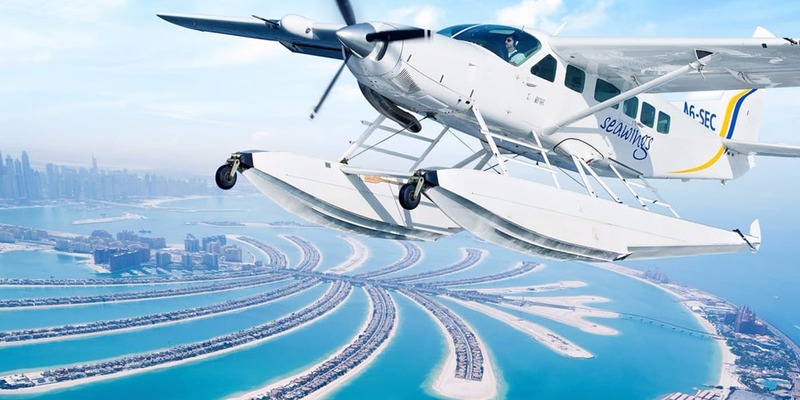 The seaplane tour dubai would take off from the waterfront and go 1500 feet above the ground, making it possible to see the city of Dubai in a different perspective. Please carry your original passport or valid ID with you.